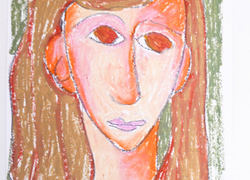 Your child can create a portrait of himself or his loved ones in the style of Modigliani with the help of oil pastels! Help your high school revive some Renaissance history with art by making a silverpoint sketch. 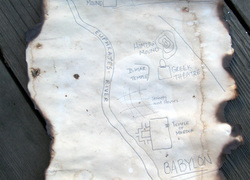 In this activity, make your own stylus and special paper. Ancient Greek vases were not only utilitarian, they were also works of art. 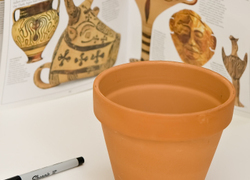 Jump into ancient cultures by decorating your own vase in classic Greek style. 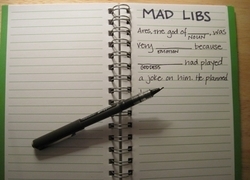 Help your child put a new spin on her favorite myth by turning it into a mad lib! 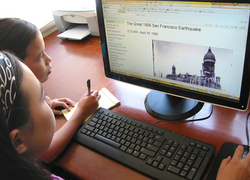 Guaranteed to bring the giggles, this fun activity also packs in the learning. 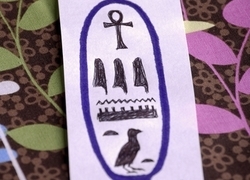 Bring history to life by helping your child create her own cartouche like the Egyptians did thousands of years ago. 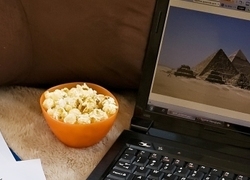 Help your teen delve into the Seven Wonders of the Ancient World; he'll come up with catchy slogans to advertise them in a pretend travel brochure. 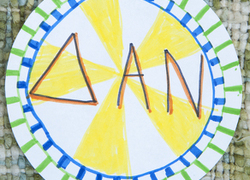 Spark your child's interest in ancient history by making a round shield like the ones carried by hoplites, Ancient Greek citizen-soldiers. 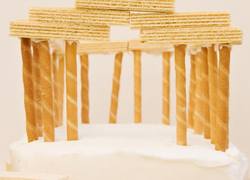 Build an Edible Ancient Temple! Make your own architectural masterpiece with supplies from the pantry. Your temple may not be as impressive as the real thing, but it'll be twice as delicious! 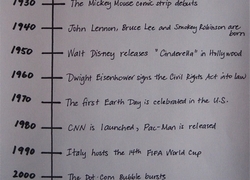 Commemorate the 100th Day of School with your child by making a timeline covering the last 100 years in this enriching intermediate history activity. 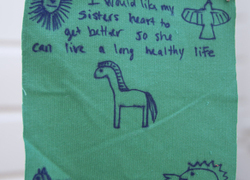 Encourage your child's interest in other cultures by helping him create his own colorful prayer flag inscribed with a special message for the world. 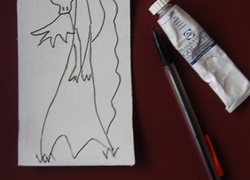 Revive French Surrealism: Play Exquisite Corpse! 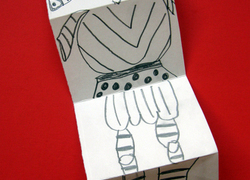 Play Exquisite Corpse with your high schooler to give her a taste of French Surrealism while working collaboratively to create unique and funky pieces of art!